North Carolina has its own set of landlord-tenant laws. There are rules both landlord and tenants must follow, as well as separate landlord and tenant responsibilities. The rights of North Carolina tenants include the right to fair housing, security deposit protections, freedom from landlord retaliation and rights for victims of domestic violence. Here are four rights of tenants in North Carolina. Every tenant in the state of North Carolina is protected by the Federal Fair Housing Act, as well as by the State Fair Housing Act of North Carolina. The Federal Act was put into place in 1968. North Carolina’s Fair Housing Act was created in 1983 to restate the federal law and to make it clear that these rules apply locally to all landlords and tenants in the state of North Carolina. Refuse to rent or sell to someone because they are a member of a certain class. Change the lease terms because someone is a member of a certain class. Use discriminatory statements in an ad to rent or sell the property. Falsely state that a unit is not available because an individual is a member of a certain class. Refuse to make reasonable accommodations to a person with disabilities. What Classes Are Specifically Protected? A landlord posts a rental ad for a vacancy at their rental property. In the ad, the landlord states that the unit is on the third floor, so the elderly, the disabled, and people with young children need not apply. It is a discriminatory statement meant to exclude these groups of people. The landlord could be charged with violating the Fair Housing Act. Tenants in North Carolina are protected by landlord-tenant law when it comes to their security deposit. There are specific rules for how much a landlord can collect as a deposit, the reasons the landlord can make deductions from the deposit, requirements for storing the deposit and when the landlord must return the deposit. In North Carolina, a tenant’s security deposit amount will depend on the length of their lease. The longer the lease, the more a landlord can collect. Pet Deposit: Landlords can also charge tenants a reasonable pet deposit. Damage more than normal wear and tear. Removing a tenant’s possessions after an eviction. Place the Money Into a Trust Account. Post a Bond for the Amount of the Tenant’s Security Deposit. North Carolina tenants usually have the right to the return of their security deposit within 30 days’ of move out. If the landlord is not able to accurately calculate the deductions that need to be taken from the deposit, then the landlord may have up to 60 days to return the tenant’s deposit. The landlord must include a written itemized list of any deductions that have been taken from the deposit. Complaining to the landlord, or the landlord’s agent, about a needed repair or a health or safety condition at the property. Complaining to a government agency about a health or safety violation at the property. Or, any other breach of rental property code. A government agency issuing a formal complaint to a landlord about a unit rented by a tenant. A tenant exercising a right that is granted under the lease agreement or granted by North Carolina’s landlord-tenant law. Organizing or joining a tenant’s union or other tenants rights organization. In North Carolina, a tenant can only try to claim a landlord acted in retaliation if the landlord’s action occurred within 12 months of the tenant committing their legally allowed action. Even if a landlord has filed to evict a tenant within this 12 month period, this eviction is not always considered an act of retaliation in North Carolina. In the following situations, a landlord has a legal right to file to evict their tenant. The tenant failed to pay their rent. The tenant substantially breached their lease agreement. The tenant refused to move after their lease has expired. The health or safety violation or necessary repair was caused by the conduct or negligence of the tenant, a member of the tenant’s household or a guest of the tenant. Complying with the health or safety violation involves altering the structure in a way that would cause the tenant to have to leave the unit for a prolonged period. The landlord filed to evict the tenant before the tenant complaining about a health or safety violation or committing any of the other legally allowed actions. The landlord wants to recover possession of the unit so that he or she can move into the unit. The landlord wishes to take the unit off the market as a rental for at least six months. The landlord wishes to make major alterations to the unit which could not be safely completed with tenants occupying the unit. Landlords in North Carolina cannot discriminate against a tenant or a prospective tenant because he or she has been a victim of domestic violence, sexual assault or stalking. Refuse to rent to a prospective tenant. Refuse to rent to a prospective tenant because he or she has previously terminated a lease agreement due to domestic violence. File to terminate the tenant’s rental agreement. Refuse to renew a tenant’s rental agreement. Retaliate against the tenant in another way. Tenants who have been victims of domestic violence have the right to terminate their lease agreement early without penalty. The tenant must provide the landlord with written notice of their desire to terminate. The desired date of lease termination must be at least 30 days after the landlord receives the notice. The tenant must also include proof of their claim of domestic violence. A copy of a court order of protection. A copy of a restraining order. The tenant must also provide a copy of a safety plan which has been issued to the tenant by a domestic violence or sexual assault program. The plan has to recommend relocation for the tenant. A tenant who terminates their lease early due to domestic violence is only responsible for paying rent up to the date of termination. Any other tenants who remain in the dwelling after the victim terminates the lease are still responsible for making normal rent payments. If a prospective tenant terminates the lease at least 14 days before move-in, he or she is not responsible for making any rent payment. An order of protection or other records from the police, the court or other federal agency. A signed document from a domestic violence program or sexual assault program that verifies the claim. A signed document from religious, medical or other professionals that verifies the claim. Having to increase security could become a reality for some tenants. For tenants who have been victims of domestic violence, where the perpetrator does not live in the same unit, the tenant or other members of the tenant’s household can request that the locks on their rental unit be changed. This request can either be made in writing or orally. Within 48 hours’ of receiving the request, the landlord must either change the locks or give the tenant permission to change the locks themselves. If the perpetrator of the domestic violence lives in the same unit as the victim, to have the locks changed, the victim must request orally or in writing to have the locks changed. And, they must provide the landlord with a copy of a court order which states that the perpetrator is no longer allowed in the rental property. The perpetrator is still responsible for paying any rent owed under the original lease agreement. The landlord has 72 hours’ from the tenant’s request to change the tenant’s locks. The locks will be changed at the expense of the tenant. If the landlord gives the tenant the permission to change the locks or if the landlord fails to change the locks within the 48 or 72-hour window, then the tenant can change the locks. If the tenant changes the locks, the tenant must give the landlord a key to the new locks within 48 hours of changing the locks. 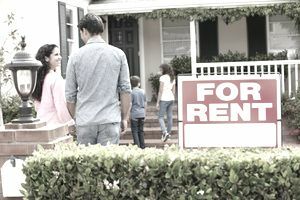 If you would like to view the original text of North Carolina’s Landlord Tenant Act, please see North Carolina General Statutes §§42-1 to 42-14.4 and §§42-25.6 to 42-76.